Canon has a new macro lens that has two built-in LED lights. It's a rather novel idea, and you can turn on one or both lights. 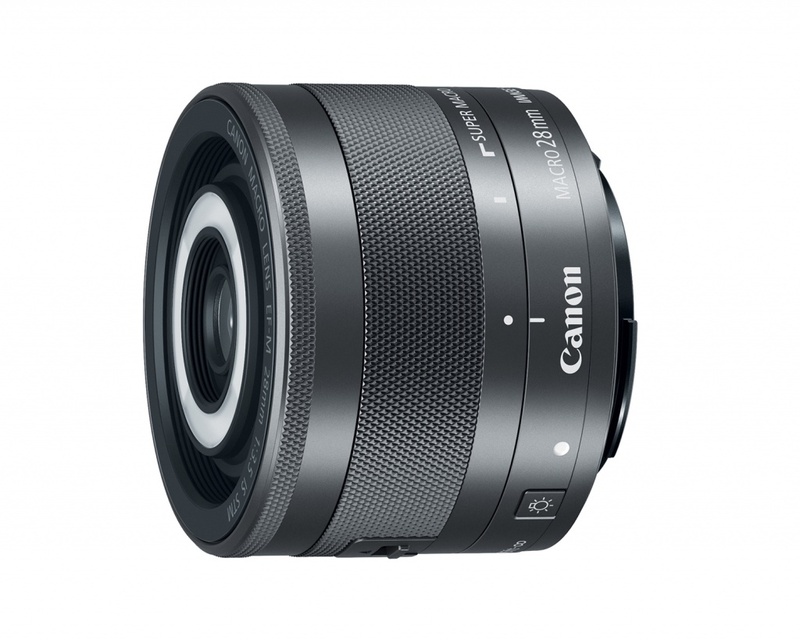 It's a 28mm lens intended for its EOS M mirrorless cameras, which converts to a full-frame equivalent of 45mm. It's a true macro lens with 1:1 reproduction. There is a promotional video that shows how it works. I would expect that it contains plastic lens elements, because it weighs just 4.6 ounces (130 grams). Thanks Mike for the info. I watched the promotional video and it has won me over for this lens. I like the built-in lights and the super macro mode. But then I'd also need to buy a Canon EOS-M then. Hopefully Olympus will come up with something like that soon. Sort of like the old Yashica Dental models, and the Medical Nikkor. I moved this to the "Mirrorless" category. You'd think that I would know that. I think this lens has a lot of good ideas. And the fact that it isn't just a flash makes it easier to use, particularly with Live View or an electronic viewfinder. There was one of the smaller Japanese (I think) lens makers that had a similar lens, though it was a true macro. IIRC, there was a micro 4/3 mount for it. Indeed, I think you mean the Yasuhara Nanoha 5x Macro lens ($500)? That looks like a very fine lens if you are into real macro. I am really shocked that no one did this before as Lomography was selling LED Macro ring lights years back.